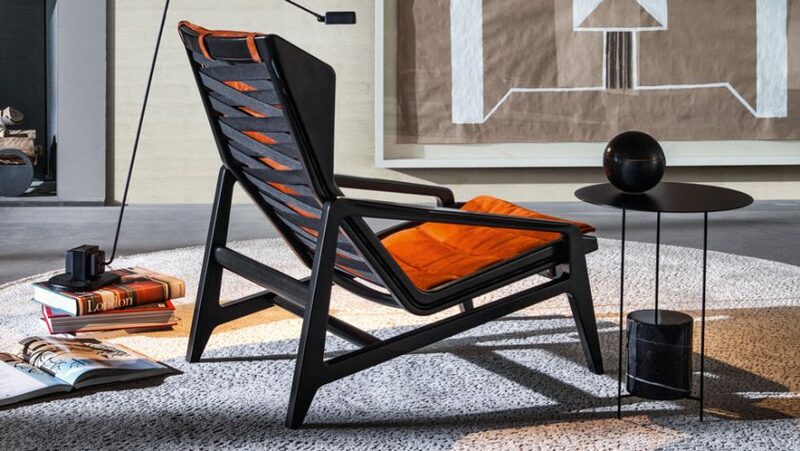 Molteni&C has won the first round of a legal battle against Cassina, after both Italian brands showed the same 1950s Gio Ponti chair at Milan design week. The Tribunale do Milano issued a precautionary injunction last week that prohibits Cassina from producing, marketing or displaying the Ponti-designed lounge chair. Both companies claim to own the rights to the chair, which was launched as the D.156.3 by Molteni&C at Salone del Mobile while across town, a near identical version dubbed the 811 sat in Cassina's showroom. The precautionary injunction, dated April 4, sets a €5,000 (£4,190) fine if Cassina violates the order. A further hearing tomorrow will determine whether the injunction should continue in its current form. "It is a great success when you can protect the heritage left by a great artist, and protect a company that for some years has been engaged in enhancing and promoting his work," said Giacomo Bonelli, a lawyer from Italian firm Mondini Rusconi who is representing Molteni&C in the case. Cassina has not replied to a request for comment, although Molteni&C has said Cassina has now removed the armchairs from its showroom on Milan's Via Durini. The dispute between the two heavyweight Italian brands became public at the start of Milan design week, when Cassina placed a newspaper advertisement describing its 811 chair as "the original" designed by Ponti and Cassina. While Cassina had not put the chair into production, it took to displaying a version of it on its showroom floor. The company's claims to the chair stem from its origins in Cassina's factory in the 1950s, when it was allegedly "conceived, engineered and produced" by the company "in cooperation" with Ponti. It had previously sent Molteni&C a formal notice not to produce the chair – a wooden lounger with a slightly winged headrest. Molteni&C, meanwhile, argues it has exclusive rights to the design, purchased in 2010 from Ponti's heirs. The heirs, who administer the Gio Ponti Archives, back this interpretation and are a joint party with Molteni&C in the litigation. Molteni&C and Cassina are among Italy's most storied design brands. Cassina is celebrating its 90th birthday this year, while Molteni&C is turning 83. The brands have recently been given new direction by international creative directors – Cassina by Patricia Urquiola and Molteni&C by Vincent Van Duysen – which propelled Cassina to a spot on Dezeen Hot List last year. Cassina owns several designs by Ponti, one of Italy's most influential designers and architects, who passed away in 1979 at the age of 87.